Photoshop action to create book/ebook covers in a few seconds. The final file has layers for editing. 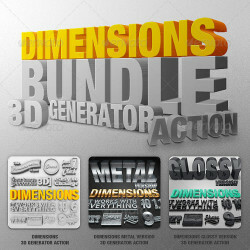 Can be adjusted shadow, brightness, ..
3D Screenizer v2.0 Present your work like design professionals! 3D Screenizer is Photoshop action that makes your ordinary screenshot or image ..
Book Mockup LARGE Pack – Simply better book mockup! You worked so hard on creating your book, now it´s time to present it in a most proffesional ..
Show off your 3D work with this Action in the comments! you’ll be featured underneath this header! Yeah! Awesome Job by Rgre1 Javi Logo by 9executives .. Compatible with Maya 2009 , 2010, 2011, 2012 . 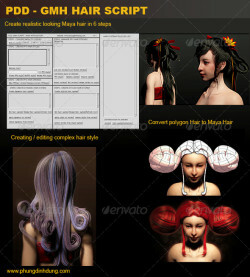 ( For Maya 2013 and on-ward please work in compatible version of Maya and using Maya 2013 ..
A script to help users to convert/edit polygon hair to Maya Hair easily. 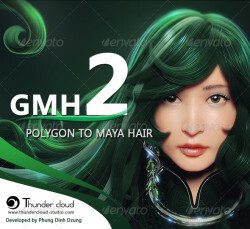 GMH2 is a more advanced version of GMH script, specialized in hair ..